Do You Need Duct Work in Cardin, Oklahoma? 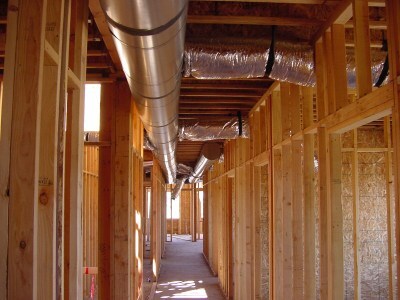 Duct work installation and service requires an experienced contractor familiar with the local climate and conditions. Barone's Heat & Air, LLC provides all levels of service to duct work in Cardin, Oklahoma, working alongside customers in both the residential and commercial markets. Our trained staff have handled duct works projects all over the Cardin region, including insulated ductwork, traditional aluminum and flexible ductwork in homes and commercial buildings around the area. Trust Barone's Heat & Air, LLC technicians to help you design, install and service ventilation systems for premium efficiency and dependable performance. When Cardin residents require immediate service, call Barone's Heat & Air, LLC for a prompt, professional response. Our staff can be quickly deployed to any site in the Cardin, Oklahoma region, and have the tools and experience to improve and maintain your duct work quickly. Rush jobs don’t have to mean lower quality – at Barone's Heat & Air, LLC you can have rapid, reliable service from local experts. Barone's Heat & Air, LLC’s reputation for quality Cardin, Oklahoma duct work service also comes at a reasonable cost. Our competitive prices remain level with local contractors, and Barone's Heat & Air, LLC service is backed by a customer satisfaction guarantee. Barone's Heat & Air, LLC has been a price leader in the Cardin region since 2009, and intends to maintain our reputation for high-end work at affordable prices. Whether you need duct installation, inspection, service or replacement, Barone's Heat & Air, LLC provides trained technicians and on time service for reasonable prices. This gives us a competitive edge in the Cardin region. Call (417) 232-0017 today for more details on our professional service for duct work in Cardin, Oklahoma.